Now that the house is about 7 years old, things are starting to break. Both latches on the exterior doors need repairs, the nice wood deck built around the palm tree needs to be replaced due the trees expanding girth, all circuit boards have been replaced in every appliance right after the 5-year warranty expired, etc. 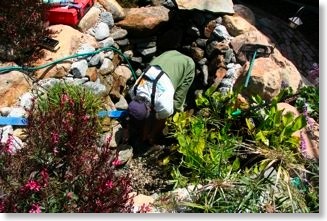 One of the most recent, and confusing, issues has to do with my water flow. If you remember in earlier blog posts, I wrote how the plumbing was designed so that I could turn on multiple showers, dishwasher, washing machine, etc., all at the same time and not notice any drop in water pressure. Well something has happened somewhere where only one shower can be on and the pressure is noticeably reduced. I have no idea if it is actually lower water pressure from the city due to the drought conditions in California or if my tankless water heater is clogged up. 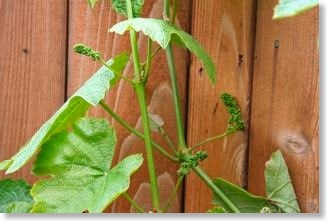 Does anyone have any ideas on how to go about checking this out? Please comment below if you do. In hindsight, when the plumbing was put in, I should have installed a flow meter to help monitor water consumption. It would be a real easy test to check the flow if I had one installed right now. UPDATE 1/22/15: Exactly one year later and I finally solved my water flow issues. It really didn't take that long but it got bad enough where I had to do something about it. I unscrewed my 8" shower head and lo and behold it was clogged with about 1" of sediment at the filter. I rinsed it out and a few weeks later the problem came back. I went through this process a few times as I think the California drought is causing extra sediment to get into the water supply due to the low reservoirs. Also, the extra minerals are causing all kinds of hard water stains and clogging of the tiny orifices in the shower head. I took a Dremel and a wire brush attachment to polish off all the deposits. It worked great and now my pressure is back to normal. Out of curiosity, I went to a faucet down in the laundry room where I can easily unscrew the filter. Guess what? An inch of sediment in there as well. 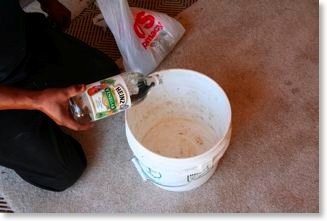 I'm routinely going around the house and emptying sediment now about once every month or so. So what do you do to fix this? I think I need to bite the bullet and put in a whole house soft water unit. UGH! You're getting ready to leave for your dream vacation, and you have the entire month off. Some people will close their house up and just go. Others will hire a house sitter for the month, which gets expensive. New security technology and common sense safety tips combine to let you relax on your vacation without worrying about your belongings. A home security system will sound an alarm and notify the monitoring company should someone break into your home. Just the presence of an alarm system will deter most burglars. For those that need the actual alarm in order to be thwarted, there are some things you can do to prevent the break-in from ever happening. 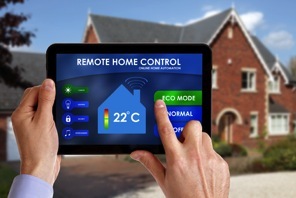 Home automation allows you to check in on your home and control certain functions in the house while you're away, explains http://www.securitycompanies.com/. The more you make the house look lived in, the less likely an intruder will bother. The vast majority of home burglaries are done only when the thief is absolutely sure no one is home. Lighting is a very important deterrent. Using programmable settings in a home automation system allows you to turn lights on and off throughout the day through your smartphone, just as if you were at home. There are also timers you can connect to the outlets/lamps if you don't have access to a phone. Set up a schedule when the TV or radio comes on to make the house look lived in. Create the schedule as if you were home. Anyone watching your home will see and hear the evidence there are people inside of the house. Ask for assistance from a friend or neighbor. Have them drive by your home every other day. They can spot something out of place; perhaps a person watching your home for a long period of time. Once a week, have them enter the house and walk around. Simple things, such as a leaky faucet or a broken window from a windstorm, can mean coming home to a mess. Have them pick up any newspapers, flyers or other material left on your property. Letting them sit out is a sign no one is around to collect them and take them inside. There are dangers of posting too much information on social media pages. You are never quite sure who is reading your posts. Putting your trip itinerary online is announcing no one will be home for an extended period of time. Be prudent with your trip information, and who you give it to. With some simple planning and the use of affordable technology, you can create a home environment you will feel safe leaving. You'll have more fun while on vacation not worrying about what you may come home to. What tips do you have for extended vacation planning? Share them in the comments. Throw a Hottub on That New Deck! Choosing to install a hot tub is a big decision, and there's a lot to consider before making the investment. Before buying a hot tub consider both the pros and cons of ownership. An article in Arizonacentral.com reveals that soaking in a hot tub can greatly relieve pain associated with arthritis or sports injuries. If you do have a sports injury, however, hopping in the tub too soon may increase inflammation. Once the swelling has started to go down and the pain is not as bad, the warm water encourages circulation and reduce muscle spasms and may allow arthritis sufferers to do exercises more easily. Looking at the cons is less fun, but these need to be weighed as well. Cost: Installing a hot tub is an investment. The Better Business Bureau reveals the tubs can be $4000 -$6000 to install for the actual hot tub. Monthly energy costs may also rise. Maintenance supplies are another expense.That's why you need to make your tub as cost effective and energy efficient as possible. 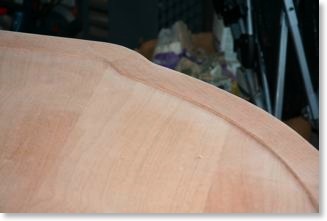 Finding hot tub parts suppliers like HotTubworks.com can help keep money from becoming too big of a problem. Responsibility of Ownership: Owning a hot tub means watching out for others. Hot tub owners need to be firm about tub rules, including limiting the time and exposure of guests. WebMD reveals a number of infections can occur as well as respiratory problems, so safety precautions are important. According to Medical News Today, male infertility can also be an issue.â€‹ HealthlinkBC.com offers suggestions on what types of infections to watch for and how to avoid them, as well as important safety measures to remember. Keeping the tub clean and disinfected with either chlorine or bromine will reduce the risk of infections, such as legionella and pseudomonas which can bring serious skin rashes, eye infections or even pneumonia. Water temperatures should not exceed 104 degrees Fahrenheit, and should be even cooler at 102 degrees if pregnant women are using the tub. Hot tubs can be installed both indoors or outdoors. Installing a hot tub inside is more expensive, requires more costly renovations, and will require you to make adjustments to handle the additional moisture in your home to avoid problems such as mold. For the majority of people, buying a good robe and putting the hot tub out on the deck or patio is the more realistic choice. Among the most important considerations is the actual weight of the tub and its impact on whatever floor it stands on. Add the weight of the tub itself, the weight of the water, and about 8 pounds per gallon to the the weight of the people in the tub. 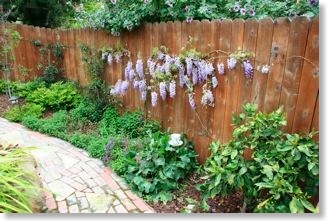 This is another reason to take things outside; to avoid that extra pressure on your livable space. While the first hot tubs were big wooden barrels, it's likely that you will want something a bit more stylish. 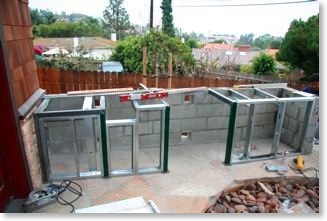 Tubs can be built on the same level as your deck floor so you can walk, rather than climb, into them. Some people place a gazebo around their tub, or a romantic canopy that brings privacy, even outdoors. Asian themes that create a "Zen" feel are also popular. With a little brainstorming and imagination, you'll come up with the perfect tub style to fit into your life. 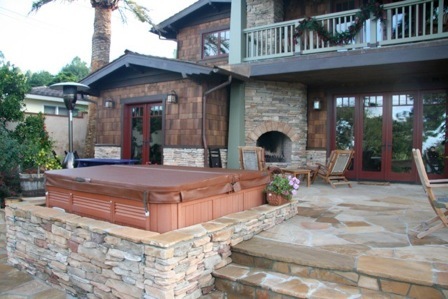 Houzz.com has many inspiring examples of dazzling hot tubs you can look at to help you find your own style. There is something remarkably satisfying looking upon a field of lush, green grass and calling it your own. It is truly one of the joys of summer. Maintaining a healthy lawn is no easy task, however, and attempting to grow one from seed can be difficult and time-consuming. 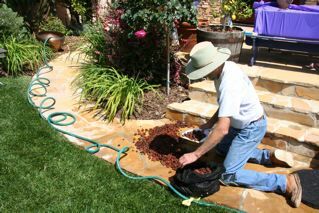 Moreover, the results may be lackluster, especially if the lawn ends up being overrun by weeds or infested with pests. Sod is more expensive than seed, but the results justify the price. Sod is not only convenient, it produces a thick, green lawn instantaneously. 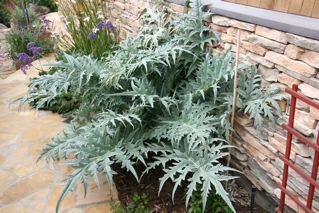 It is also naturally resistant to pest infestations, diseases and weeds, according to This Old House. Follow a few simple steps, and you'll have a beautiful lawn for years to come. If you are going to be replacing a lawn, you need to remove the existing grass before putting down the sod. 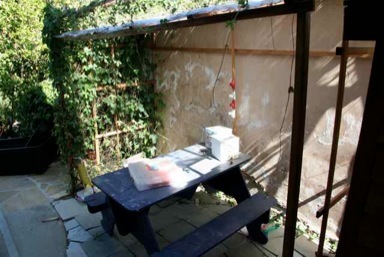 This can be done quickly with a sod cutter, which you can rent for about $70 a day. 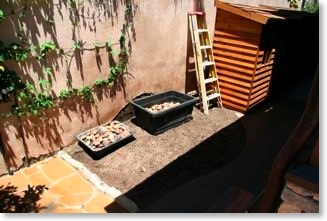 After you've removed your old lawn, level the soil, aerate it and give it a good dose of compost to provide nutrients. The best time to put down sod depends on where you are live. If you're going to be converting a harsh, desert landscape in Arizona into a soft green one, then you can do it whenever your heart desires. If you plan on replacing a patchy lawn in the north, you can do it at any time between the spring and fall. The best type of grass for your new lawn depends on your climate. It also depends upon your soil pH and how much sunlight your yard receives during the day. 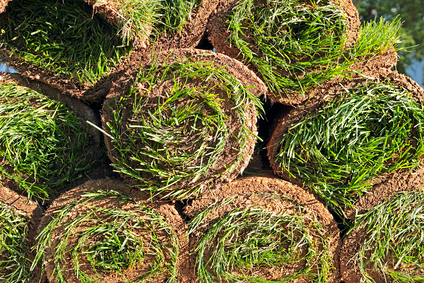 The salesperson from whom you purchased your sod will be able to tell you the best type for your lawn. Beyond the sod and some moist soil, all you need for this step is a sod-cutting knife and a few good friends to help out. If you are sodding a large area, renting a forklift is a good idea, as rolls of sod become heavy quickly. Make sure to be careful with the forklift, however; the driver should always wear a safety belt while it's in operation, and it's vital you know the lift's carrying capacity. Overloading can cause it to tip over. 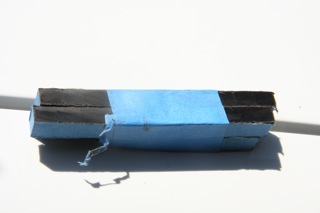 While installing the sod, make sure to pack the strips together tightly in a staggered pattern. 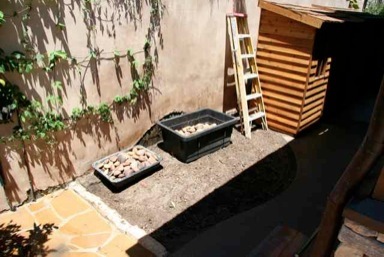 Once all of the sod has been laid, the DIY Network recommends a light watering and a once-over with a weighted roller. This will bring the sod into contact with the soil. The sod should be allowed to settle without excessive foot traffic for at least a week. Water your new grass at least once a day, preferably before it gets too hot. Do not water the sod at night, as the excess moisture may encourage fungal diseases. Once the sod has grown to 3 inches, you'll want to cut it back some. Within a few weeks, you can then begin treating the sod as you would any normal lawn, which means watering about an inch per week and cutting the grass by no more than one-third of its height. The best part? Take to it in your bare feet. Ahh... now that's summer. Rain does a great job of going on its downward trajectory to get on the ground and become a part of the groundwater supply. Unfortunately, water can get impeded in its quest by manmade structures; roofs, parking lots, and streets all block water from getting soaked into the ground. The takeaway from this is that rainwater blocked by a house roof runs off the roof. 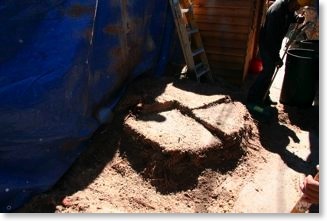 The water that had been spread over a larger area gets consolidated into the perimeter of your house. Without preventative measures, a great deal of water will be landing on and around your foundation. When this large quantity of runoff starts permeating your foundation, you run the risk of a flooded basement. As a homeowner, there are some proactive steps you should take to limit your risks. 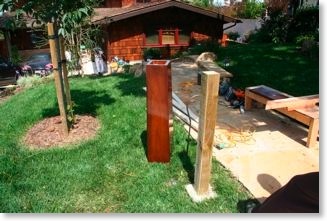 The common solution for diverting water away from your house foundation is by those funky metal troughs we call gutters. Gutters are pretty standard on houses, but it is really easy to render them irrelevant. A gutter should be depositing water a good distance away from your foundation. You're more likely to encounter a flooded basement if your spout is depositing the water right by your house. Extend the spout further away from your home. You can have as many gutters as you want, but if they're full of leaves and other build-up, the water will slosh over the side rather than flowing down the spout. Regularly cleaning out your gutters is crucial for avoiding excess water on your foundation. 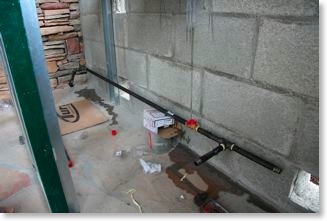 Unlike gutters, which are an exterior way to battle flooded basements, a sump pump is your indoor protection. 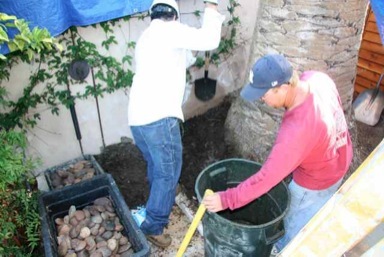 Usually located in a pit, the sump pump gathers collected water and expels it either into the sewer system, or at a different location away from the home. 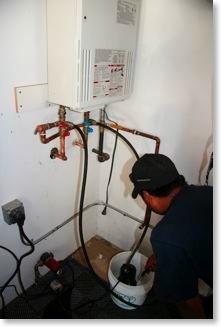 Before installing a sump pump, find out the regulations for your area. 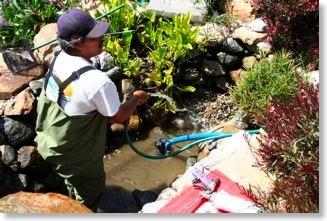 Many municipalities have regulations against pumping into the sewer system as it can create problems with the sewage treatment facility. A backup sump pump is a good idea in case you encounter problems with your main sump pump or to help out if your main pump isn't keeping up with the incoming water. 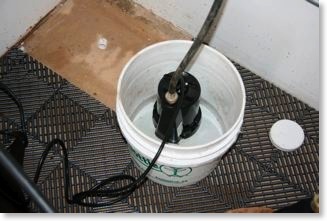 Your sump pump is only as effective as its ability to stay on. 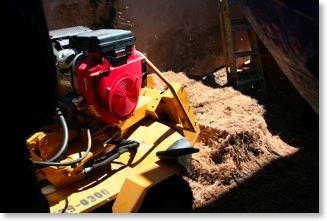 While some sump pumps have a battery in case of power failure, you'll be more secure with a generator providing power. The back-up battery is likely to only have enough power for a couple of hours. A portable generator, on the other hand, can run for much longer than that and, if the wattage output is high enough, can also keep your major appliances on. 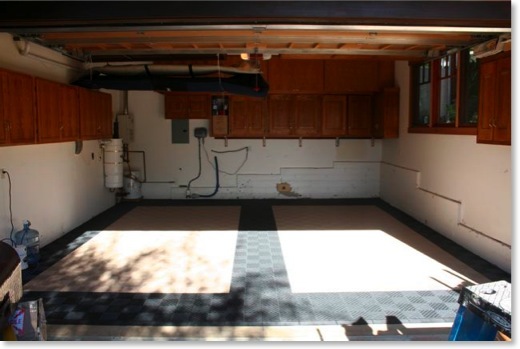 Water damage resulting from flooded basements can create a nightmare scenario. Being proactive before the big storm will increase your chances of avoiding a nasty situation. A break-in is every homeowner’s nightmare. Luckily, you can protect your home with just a little knowledge and foresight. Here’s what you need to know to stop even the most conniving criminal. Turn off your landline ringer – it’s a giveaway that no one is home. Put lights on timers so that they turn on and off throughout the evening. Ask your neighbors to use your trash bins while you’re on vacation. Discontinue newspaper delivery, or have a neighbor pick up the mail. Plant trees away from the home because they offer concealment and access to second story windows and balconies. Hide spare keys in a combination-lock key box instead of under doormats, planters and in gutters. Put security signage up around your home, to remind potential burglars that you’re not an easy target. Use window locks and re-enforced glass to prevent easy smash and grabs. Use multi-paneled windows because they are harder to break and harder to see through. Drip solder on installation screws to prevent thieves from simply unscrewing whole windows and removing them. 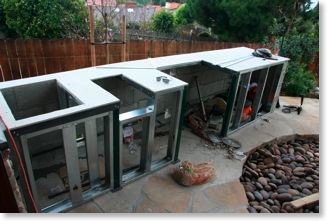 This can be as a retrofit or during new construction. Use a deadbolt on all exterior doors because they can’t be opened with a credit card like spring latches (a technique called “loiding”). Seal any gaps in your door to prevent a burglar from prying it open. Install door hinges on the inside where a burglar can’t unlatch them. Replace sliding glass doors with French doors or at least update them with re-enforced glass. Place a C-clamp on your garage door track to prevent a burglar from manually lifting it. Keep the garage door closed at all times. Frost garage windows to stop burglars from seeing whether a car is inside, allowing them to determine if anyone is home. Do Your Bedroom Up With Style and Functionality! When making over your guest bedroom, keep it clean and simple. When guests are ready to settle in, they don't want to stay in a cluttered room that had a bed thrown in as an afterthought. Try to keep it uncluttered and neutral. A great piece of advice to everyone who has a guest room is to sleep in it yourself for just one night to see what changes need to be made. If you notice weird noises, annoying light or an uncomfortable mattress, chances are your guest will too. Try to keep everything basic yet stylish by using the minimum amount of furniture — one table, one chair and one bed. Keep the décor uncluttered and try placing only two items on top of the dresser and only a lamp on the bedside table. Always keep the dresser empty, so your guests will have someplace to store and easily access their personal items after arriving. Also, don't forget to keep the closet cleaned out so guests can also use it to store their suitcases and hang wrinkle-prone clothes. Add a comfortable and classic-looking couch or set of chairs for a serene spot for your guests to relax. Paint the walls a neutral color, and this doesn't necessarily mean a cream or tan color. Nowadays, many people think outside the box and have actually started to use black as the base color as well as an accent color to really make a bold statement. However, you shouldn't paint every wall black; Use it on a selected wall if so it won't appear too bold. The idea of keeping it simple can also continue to window treatments. A great look that is a favorite among many is wooden blinds made of bamboo or woven wood, and popular plantation shutters. Many other styles are available, such as blackout shades, light filtering shades, Roman shades and honeycomb cell shades. Great deals with many different designs that match every kind of décor imaginable can be found online with the right research. You don't have to spend a fortune on designer brands to set up a fashionable guest room that is sure to impress. Keeping small items readily available will make your guests feel more at home. Many guests forget the small things such as shampoo or toothpaste, so having them readily available for use would be nice. 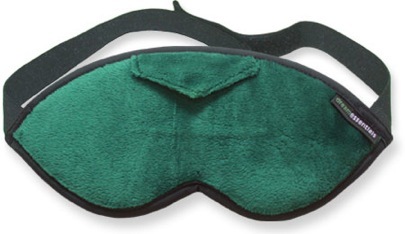 Besides, you can purchase these items for as cheap as $1 each, or stock up for free next time you are at a hotel. You will find that simplicity and these small convenience items will actually make a big difference for your guests. From asymmetrical walls and oddly shaped windows to a sunken floor plan, you need to look at these architectural details not as if they're decorating dilemmas, but as if they're interior highlights that need to be creatively accentuated. Here's an example of three unique living rooms features and what you can do to turn a decorating dilemma into an aesthetic showcase. The style and shape of the windows in your living room can present dilemmas. Whether they're too big and letting in too much light, or oddly shaped, there are ways to incorporate them into your decor plan. If the sun is simply too much, you can add a glass darkening tint or go for custom treatments. Vendors today can provide made to order drapery, curtains, blinds or plantation shutters in a huge array of colors and materials. With this many options it shouldn't be hard to find a look and feel exactly like you want for your living-room windows. However, the unusual shape of the window is a bigger aesthetic challenge. Instead of trying to seamlessly fuse the window into the rest of the living room's decor, why not make it the focal point? Look at the window as a painting. It's a free piece of art, however unusual or abstract it might be. Popular during the '60s, the sunken living room is experiencing a renaissance. Whether you find it tacky or retro-chic, it's a unique and distinctive look. However, the biggest problem with this type of configuration is that people always forget there is a downward step into the living room, so trips and falls are common. In other words, when you have people over and they are unfamiliar with your house, a cocktail party can turn into a lawsuit. 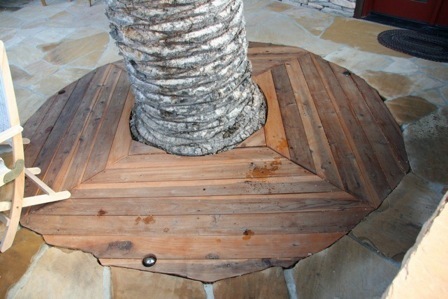 One way to remedy the problem is to stain or paint the step, bringing attention to the room's sunken configuration. Once the safety measures are in place, concentrate on the living-room decor. When you have a sunken configuration, it's important to have tables, chairs, sofas and consoles of varying height, as this will create space and dimension. A variety of contrasting colors will help add depth to the room. What do you do if you have an oddly shaped living room? For example, asymmetrical walls are common. It's not unusual to have three rectangular walls and one sharp, asymmetrical slant. There are several ways to highlight this feature. You could hang an asymmetrical drapery or a piece of abstract art that mirrors the slant of the wall. Use bold paint colors and patterns to accentuate the walls, or stick with beiges and cremes and use your furniture as the room's focal point. Finally, buy furniture with upholstery patterns that match the angle of the wall. Once you have a few matching features in the room, an unusual detail will no longer stick out. From octagon-shaped living rooms to eyebrow-curved windows, not everything on the market is cookie-cutter. At first, these unusual spaces might seem like a dilemma, but the joy of owning a home is figuring out the type of decor that will make these rooms shine. Using value-conscious guidelines, home remodeling can add a major price bonus to any house you want to put on the market, yet not all home remodeling ideas produce an adequate return on the investment. This article considers ten remodeling projects that can bring in high rewards for limited expenditures. When it comes to houses, fix it like you plan to stay in it and pay attention to the market. Unless you happen to own that one faultless house that every U.S. citizen dreams about but never finds, selling your home will require some measure of home improvement. 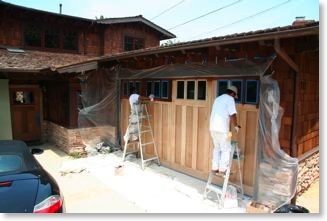 If you want to increase the profit, the remodeling must be balanced and well applied. Start with a bit of observation. Consider the design points that make your home unique. Focus on the outside as well as the inside. 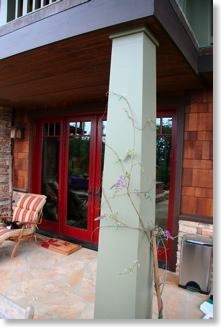 Don’t overlook the importance of indoor air quality and don’t miss the value of creating enticing curb appeal. Also be sure to set an eye for basics such as curtains, blinds and other fundamental items that present the “feel” of a home. When planning the modifications, think like a homeowner, but keep the mind-set of a real estate agent. Find a balance between what you like and what actually sells. Don’t get lost on a vanity trip. Exterior Siding – Replace old siding with high-end fiber cement. Cost: $15,000 or less. Payback:78%. 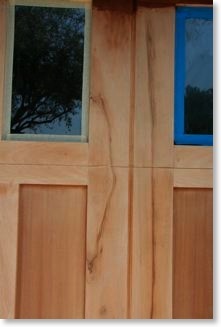 Entry Door – Replace that cracked and discolored entry door with an inexpensive steel door. The payback: 73% on $1,300 or less. Attic Remodel – Turn the attic into an extra bedroom. Remove a dormer. Install a shower. 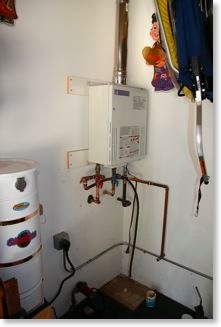 Revamp the flow of heating and cooling. Add Insulation. Update the lighting. Put in four vinyl windows. Polish out the walls and ceiling. Average cost: $50,148. Payback 72.5%. Minor Kitchen Remodel – Put new hardware on the cabinets. Add some Blinds.com blinds over the sink. Install new faucets, a new sink and laminate countertops. Top it off with a quality selection of new appliances. Cost: $20,000. Payback 72.1 percent. Garage Door, Midrange – As a low cost improvement, a midrange garage door update can really pump up a home’s curb appeal. Cost: $1,500. Payback 71.9%. 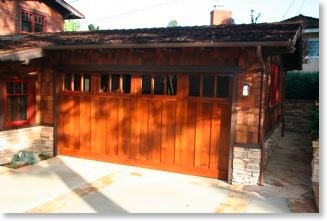 Garage Door, High-End – It’s all about curb appeal. The payback on a high-end garage door update performs just as well as the midrange counterpart. Cost: $2,994. Return 71.1%. Deck – New wood decks are not as expensive as composite materials, but the return on investment brings a healthy balance at a lesser cost. On average, a wooden deck runs around $10,350. Payback: 70.1%. Vinyl Siding – Foam-backed vinyl siding provides several value-added services. 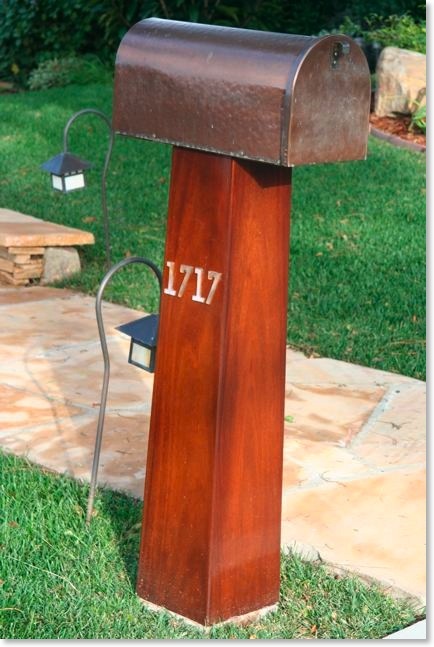 It helps maintain a steady temperature within the home and it lends a fresh look on the curb. Cost $14,274 for an average project of 1,250 square feet. Payback: Around 70%. Midrange Vinyl Siding – More expensive than basic siding and high-end fiber cement, midrange replacement vinyl siding provides stronger, longer-lasting protection for the home. Cost: $11,729. Payback 69.5%. Windows – For holding back the elements, you can’t beat the performance of double-pane vinyl replacement windows. They are easy to clean, double-hung and easy to install. 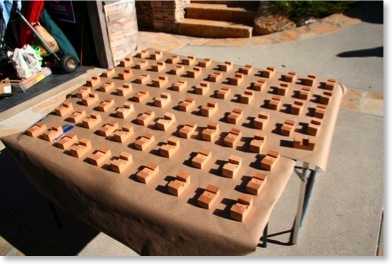 Plan the project around using low-emissivity glass, insulated units and simulated wood-grain casings. Cost for 10 3x5 windows including installation: $14,328. Payback: 69.1. New windows add architectural interest to the exterior of your home and enhance the style of your home's interiors as well. When it comes to buying new windows, however, it's a desire for improved function rather than style that often motivates people to take the plunge and make the investment. If you're unsure if the purchase is worthwhile, here are five signs that can indicate the time is right for replacing your windows. If your home's thermostat is telling you that your home is at an ideal temperature yet you still feel uncomfortable, chances are that your windows are drafting outdoor air into your rooms. Windows are strongly affected by the airflow around them. They require modern insulation technologies and techniques to keep them air-tight. You can check your windows for drafts by slowly moving a stick of incense or a smoke pencil around the interior frame. This test is most effective when it's windy outside. If your existing windows were improperly installed, painted or maintained, inclement weather can cause frames and sills to rot and decay, potentially damaging your home's structure. Peeling paint and soft wood are clear signs that windows need attention. 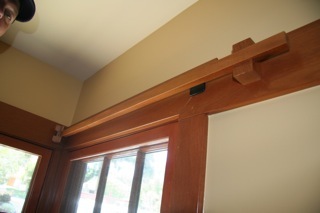 Frames and sills that are misaligned are another clear indication that replacement is needed. Windows that rattle every time that someone in your household opens or closes a door are sending you a clear message that something is amiss. Loose windows can pose a real danger to you and your family. Old units also do little to block outside noise. New insulated windows are not only great at blocking drafts, but help muffle outside noise as well. It's easy to assume that increases in your monthly energy bill are due to rising energy costs, but a closer examination may reveal an unaccounted-for increase that can indicate drafty or energy inefficient windows. 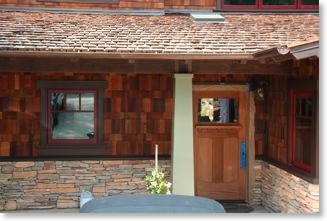 Today's modern windows can be far more energy efficient than the windows that came with your home. Replacing old units with double-pane insulated glass windows can reduce your energy bills by as much as 25 percent. Sometimes, windows let you know that they need replacement by making increased demands on your time and wallet. If you find yourself having to caulk, seal and weatherstrip your windows frequently in order to keep drafts at bay, replacement may be a cost-effective solution. Modern windows feature materials and finishes that don't require much attention to keep them weather-tight and looking beautiful. Brendan is the content editor for CalFinder, a free service designed to make window replacement projects as easy as possible, by connecting homeowners with licensed and insured local contractors. 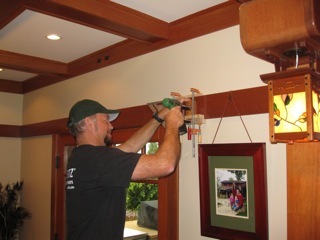 CalFinder contractors install major window brands, including Andersen Windows and many others. Remodeling your living room won’t be easy if the walls are lined with paintings and the floor is covered in furniture. You have to clear everything out of the rooms that are going to be remodeled. Before you clear everything out, though, you’ll need to organize it all and put smaller items into boxes. During this organization step, it’s a good idea to try to get rid of a few things you don’t use very often. Lightening your load a little bit will make packing and finding a place to store your belongings easier. After you’ve lightened your load, it’s a good idea to start sorting all of your small belongings according to type to help ensure that they stay organized as you pack them up. Once you’ve organized everything based on type, you can start packing things up into boxes. Be sure to label all the boxes you pack up, so you’ll have an easy time finding everything you need when you unpack. Remember to label boxes that contain fragile materials with the word “fragile” as well, especially if other people will be helping you carry and transport the boxes. Once everything’s packed up, you’ll need to clear it out and find a place to store it. You may want to consider renting a storage pod you can put in your driveway or backyard, especially if you want to store your things close to your home. You may also want to consider signing a short-term lease for a storage unit, especially if you’ll be storing antique furniture. You have the option of renting a climate-controlled storage unit that will keep all of your antique furniture and temperature-sensitive items like musical instruments safe. Once you’ve successfully and efficiently transported everything out of the rooms that are going to be remodeled, the project can begin. You’ll be amazed by how great your old things look in your newly remodeled home when you transport them back out of storage! Author’s Bio: Lisa is a writer at SelfStorageDeals.com, your price-focused search engine for finding deals on storage units in Colorado Springs and storage units in McAllen. 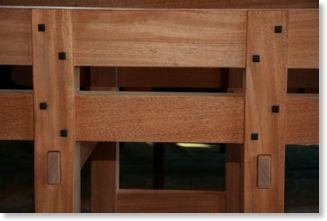 Occasionally, I will allow a guest blogger to write here in the Craftsman Remodel blog if they have good information to share. 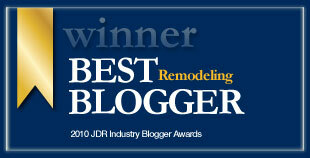 Read this blog about bathroom remodeling. If you’re planning a bathroom remodel, you may want to take your children into consideration, particularly if they have their own bathroom separate from the master bath. However, kids’ bathroom ideas aren’t limited to décor; you need to take their needs into consideration when designing and remodeling the bathroom as well. Smaller People: If you have several children and are planning to live in your house for a while, it pays to remodel with shorter arms and legs in mind. You can install towel bars, shelves, and cabinets at a lower height for easier reach and put more room around the toilet so parents can help children who are potty training. You may find a handheld showerhead more convenient for washing small bodies. 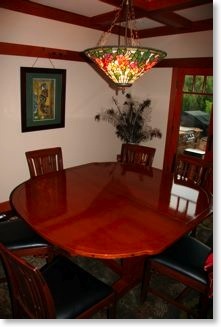 Choose semi-gloss paint and fixtures that don’t show fingerprints. Plan for toy storage with holders in the shower or shower curtains with built-in pockets. Design for Growth: By all means have fun by decorating with frogs and ducks or whales, but try to make this décor easy to change. When your children are ten, they may be embarrassed by frogs on the wallpaper. However, if you limit the childish décor to trashcans and shower curtains that are easily changed, you can update the look as they grow. Many manufacturers also make stick-on decals that are easy to hang on the wall and simple to remove. Remember, too, that as they grow children will need more drawer and shelf storage for things like hair dryers and acne medications, so plan accordingly. Shared Bathrooms: If you have two children’s bedrooms next to each other, it’s great if they can be adjoined by a shared Jack and Jill bathroom with two sinks. It’s great if the décor in the bathroom is compatible with that in both bedrooms. Plus you want both children to be happy with the design choices. If need be, go with something neutral that nobody would object to. Getting Kids Involved: Children will love to contribute to the design and remodel of their bathrooms, so you can consult them on colors and décor elements. 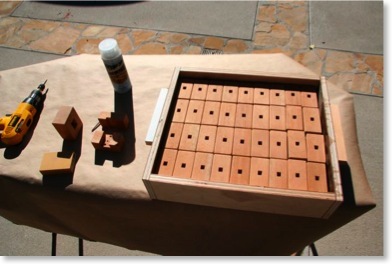 They might even be able to contribute artwork or paint some of the tiles. However, remember that parental guidance is still important. If they want neon green, you might be able to talk them into a softer shade or substitute a Spongebob trashcan for Spongebob wallpaper. Safety: The tub and shower should have a slip resistant surface. 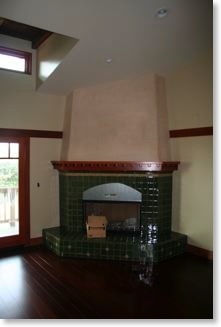 If you’re remodeling, think about smaller tiles on the floor; with more grout they are less slippery than bigger tiles. You can install a scald guard faucet in the tub to ensure that water doesn’t get too hot. If you have very young children, cover the bathtub faucet with something soft and put a lock on the toilet. Themes: You can have some fun with the décor in a kid’s bathroom. However, this doesn’t mean that you are stuck with baby ducks. Think about a nautical theme, with ship-based designs and colors. Marine life is another option as is a beach theme. All of these decors can be updated to look more grown-up as the children age. Author Joaquin Erazo Jr. leads all marketing, advertising, and public relations strategies for Case Remodeling and Design. His team handles all client acquisition and retention efforts for the Case brands. With an MBA from Averett University, Erazo has over 18 years of experience in senior marketing positions. Ceiling Tile Store is now OPEN! Through our partnership with Decorative Ceiling Tiles, we are able to bring their entire collection of Faux Leather, Tin, Copper, Aluminum, and Foam Ceiling Tiles to the Craftsman Home Remodeling website. Be sure to check out the Coupons/Rebates page to see if there are any deals to be had. 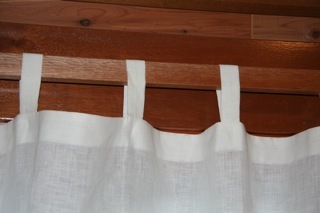 As promised, here are some installation pictures of the curtain rods. 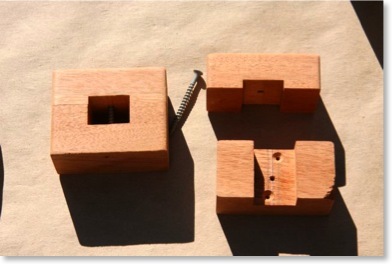 A previous blog post shows the manufacturing of the curtain rod brackets. 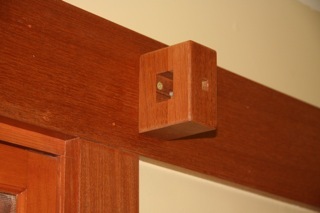 Rich Wright, the contractor of my house, made the curtain rods and brackets out of left over mahogany from the construction. 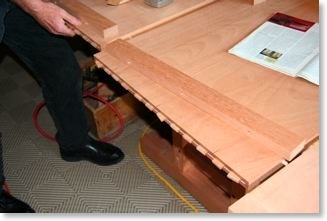 He had to build a jig to hold the base bracket in place and ensure that it was aligned straight. This picture shows the mounting really well. There are two screws that mount the base piece into the wall. The cover piece has a hole in the center where a 3-inch screw goes through the rod (not shown) and into the back support bracket. That hole is then filled with an ebony plug. 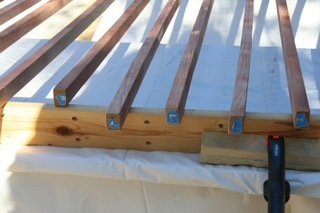 We ran into an issue with how to do a bracket for a corner window where each window had it's own curtain. 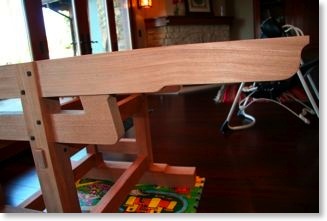 Here is the solution, a corner bracket that takes each rod in at a 45 degree angle. 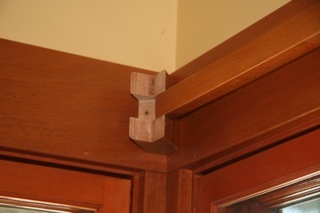 Test fitting a curtain rod into the brackets to make sure everything fits. 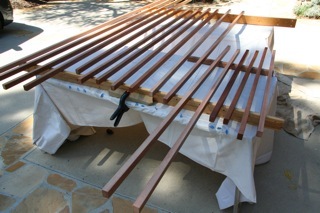 Now it's time to make the curtain rods. 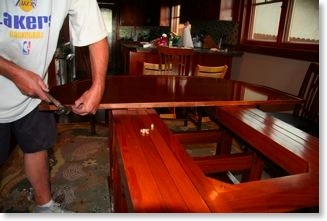 Each mahogany rod was custom cut to the length required for each window and door. I numbered the ends of the rods when finishing so I could remember where they went later. 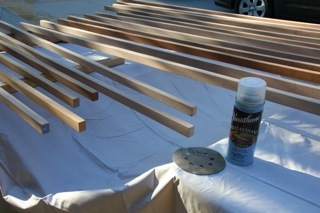 After some light sanding to bevel all edges, I sprayed on 3 coats of Varathane to seal them. 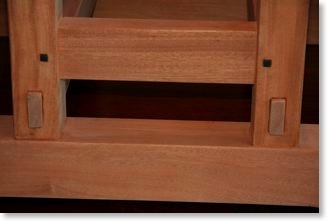 This is the same finish I used on the curtain rod brackets. 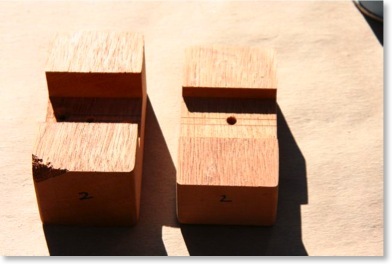 Meanwhile, this block of ebony was cut into tiny squares to plug the holes in the brackets after installation. And now for the final product. Well, almost final. I still haven't put in the ebony plugs but you can't really tell in these pictures. 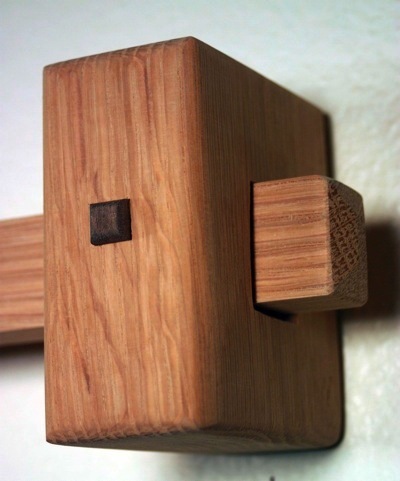 The rods extend one inch past each end of the brackets. The curtains have tabs with buttons so the curtain can be removed if needed. This is late in coming but for those of you that have read about our palm tree removal, you know that we had some empty space on the side of the house. 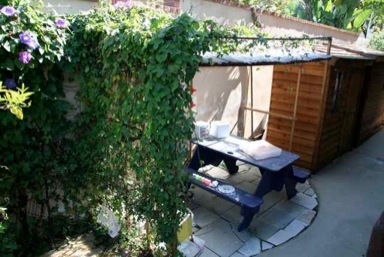 Not wanting this space to go to waste, I built a frame structure, put on a corrugated, plastic roof and grew wisteria over the entire surface. I had some left over slate from my master bathroom so I fit it into the dirt space for a floor. 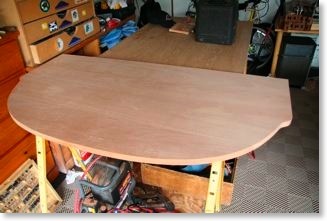 The blue table is one that I made out of a single 4x8 sheet of plywood. It always seemed to be in the way but now it has a good home. It's been a while since I have posted anything. 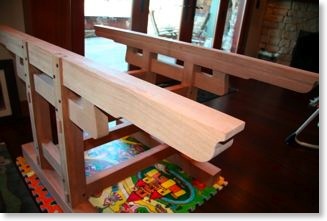 I have had some projects around the house that have been finishing up such as custom Craftsman-style curtains that I want to share with you all but it was time for me to move this site into the 21st century. 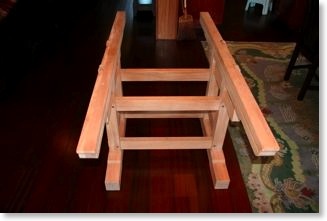 As a result, this blog is now synched up with it's own Facebook Fan Page (http://www.facebook.com/pages/Craftsman-Home-Remodeling/287979256075) and Twitter page (http://twitter.com/craftsmanremodl). Feel free to become a fan on the Facebook page and follow me on the Twitter page. I will be posting the blog to all, sharing more remodeling information, and also providing coupons on the latest home appliances, faucets, sinks, tubs, lighting, and more. The Lighting Store is now OPEN! Through our partnership with Lamps Plus , we are pleased to bring their entire collection of lighting to the Craftsman Home Remodeling website. The Gourmet Food Store is now OPEN! Remodeling is hard work and takes a lot out of you so I decided to open up a Gourmet Food Store right here on the Craftsman Home Remodeling web site. Gourmet Food Store is an epicure's paradise, an online store for those who love great food and great ingredients. We offer you the ultimate selection of international specialty foods such as caviar, cheese, foie gras and pate, gourmet chocolates, oils and vinegars, smoked salmon, specialty meats, teas, fresh truffles, and many other gastronomic delights. Explore the best and most elegant foods in the world at prices that will amaze you. Bon appetit! The Rug Store is now OPEN! The Rug Store is now officially open. Through our partnership with eSaleRugs.com , we are able to bring their entire 20,000+ collection of rugs to the Craftsman Home Remodeling website. With over 20,000 Persian rugs, Oriental rugs and area rugs in stock, eSaleRugs.com is the world's leading retailer of hand-woven and hand-knotted tribal rugs, traditional rugs and modern rugs. 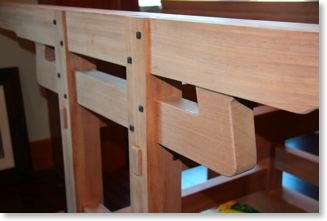 It has been awhile since I posted here so let me give you an update on the curtain rod brackets and show you what we did. 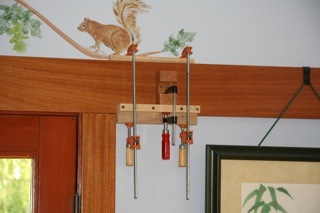 My contractor wanted a web site and I needed curtain rod brackets so we bartered services. I had leftover wood and it was easy for him to manufacture so we had a win-win situation here. 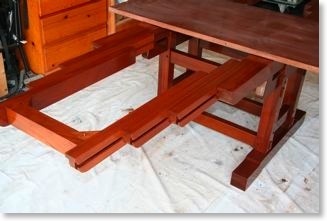 The brackets are made from my leftover Honduran mahogany. 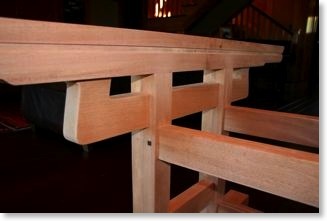 Here are the long awaited pics of the unfinished brackets and the finishing process. Here you can see a complete bracket and the two halves that make it up. 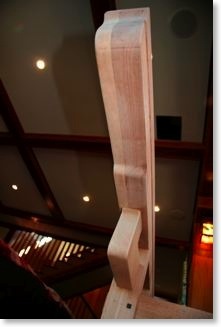 The brackets are match drilled. We had to number them to keep the sets together. 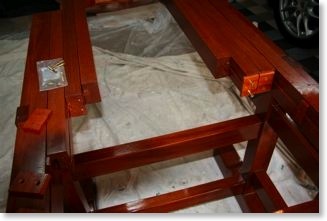 All of my materials: curtain rod brackets and Varathane clear semi-gloss. Taking all of the brackets apart in preparation for finishing. Ebony plugs will fill the holes. The brackets are apart and ready for finishing with Varathane. After 2 years of living here, we are getting ready to put up curtains and rods. The problem we have been having to this point is what will look good and compliment all of the wood. 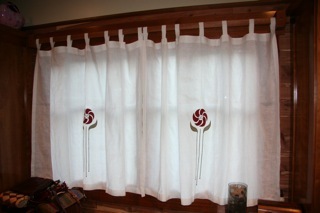 Well, we found something we like but the problem is that it costs anywhere from $200-$400 per curtain rod. 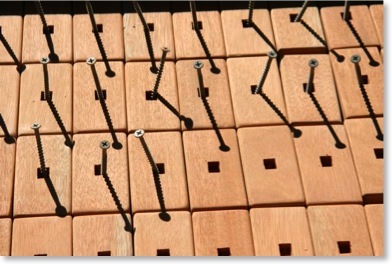 The rods are made of oak with small ebony inserts as you can see in the picture. 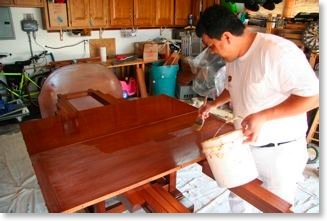 If you remember, I have a lot of mahogany and ebony left over from the job so we will be using that and make it ourselves. On a related note, my contractor Rich Wright asked me if I could create a web site for him in exchange for some work I may need done. What great timing! 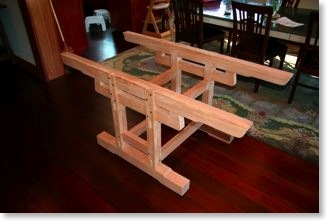 Rich will be building the curtain rods in exchange for his site. Through our partnership with Home Decorators Collection, we are able to bring their entire collection of home furnishings, including the Craftsman Collection, to the Craftsman Home Remodeling website. Order from our Craftsman Collection to bring the classic look of the Arts and Crafts style into your home. Explore our vast selection to find furniture for every use, whether it's a desk to separate bills in your office or a bench that will store shoes in your entryway. You'll enjoy how the extra details of cross-paneled doors, flared trim and cast metal hardware add fresh appeal to your decor. And the handcrafted construction contains solid hardwood and oak veneer, highlighted beautifully in your choice of warm finishes. 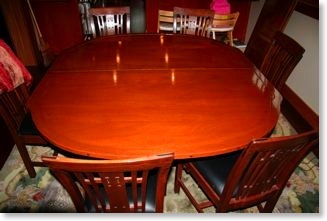 See what our Craftsman Collection can do for you today; order now. Faucets, Sinks, & Tubs Oh My!!! We are pleased to announce the opening of our newest store; Faucets, Sinks, & Tubs. 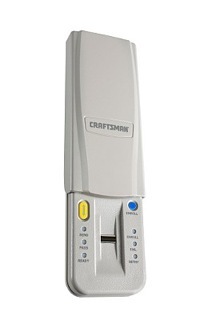 Through our recent partnership with eFaucets, we are able to bring their entire collection of trusted mega brands include Delta, Moen, Kohler, American Standard, Price Pfister, Danze, Grohe, Giagni, Hansgrohe, Blanco, Teka, In-Sink-Erator, and many more to the Craftsman Home Remodeling website. Now that the palm tree is gone, we have a big space (4.5' x 9') that can be used for something. After looking at the space for about 6 weeks, we have decided to turn it into a kids' Arts and Crafts area. 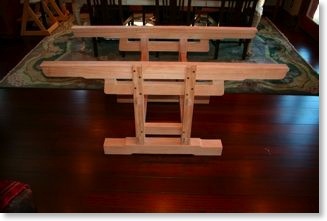 I just bought the lumber yesterday and will be building it over the next few days. Stay tuned. 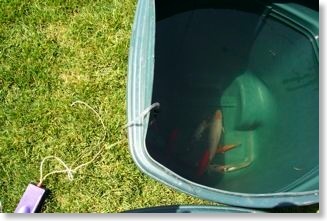 We Won the Pond Competition! 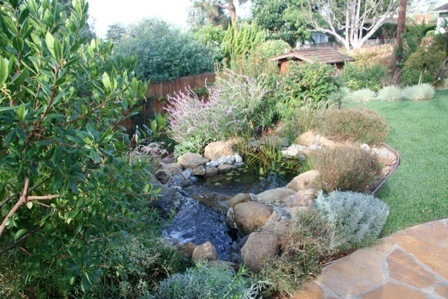 Back on May 13th, my post talks about how we were cleaning up the koi pond for the pond landscaping competition. 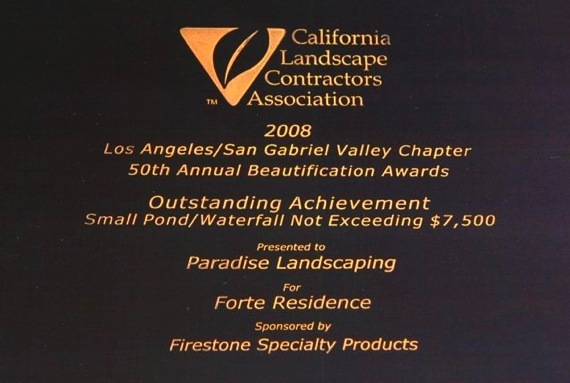 Well, I just found out that we took first place for small ponds under $10,000. As soon as I get a picture of the award I'll post it here. The Yard Store is Open! We are pleased to announce the opening of The Yard Store; our new landscaping and gardening tool area. 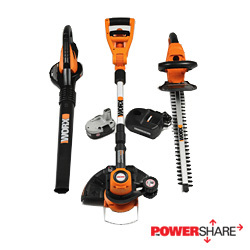 Through our partnership with WORX Yard Tools we are able to offer their complete line of innovative outdoor power tools that make yard work easier. They have taken that simple idea and tried to offer something even more... like products which are high-quality, environmentally friendly, and recognized as being the most ergonomic tools on the market today. My favorite thing is that all of these tools run on interchangeable battery packs! Click on the picture below to be taken to the store. This came up on the forum the other day and I think it is worth repeating here in the blog. 1) Get a referral from someone you know. In fact, I'll bet you know several people that have done remodels in the last few years that could offer up some opinions on local contractors; good and bad. I got some names from friends plus I used several contractor referral services that match contractors to you in your area based on your criteria. They are listed under Contractor Referral Services on the Contractors Used page. 2) Hire a contractor who specializes in the type of work you need done. 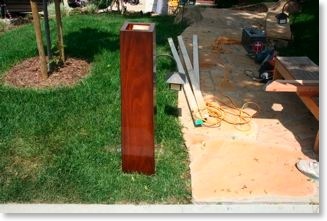 Someone you hire to install wood flooring or to build a deck should be a carpentry contractor, while someone you hire to install recessed lighting in your kitchen should be an electrician. There are many different trade certifications, so be sure to check the title on your contractor’s certification to make sure he or she is a specialist. 3) Check licenses and insurance with your city’s Contractor Licensing Board. Ask the tradesman for copies of the Contractor’s Certification, Worker’s Compensation status and Liability Insurance certificate. A reputable contractor will have no problem providing copies of these documents. In some areas, you may also be able to get this information online. 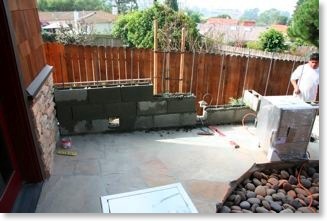 I know that I could see all of this information online for my contractor who is in the Los Angeles area. 4) Get at least three references for your contractor and call them. The contractor will likely give you references who had positive experiences, so be sure to ask them specific questions about workmanship that are important to you. You might be concerned about whether the contractor cleaned up his work area and kept to his time line or whether the final invoice matched the estimate. When I was interviewing former customers of some contractors, I was amazed at how willing they were to tell me what to watch out for and where the contractor messed up. Having these 5 minute phone calls was very enlightening! 5) Check with the Better Business Bureau to find out if complaints have ever been filed or are outstanding against the contractor. 6) Request a written estimate. Any contractor who does not provide you with a written estimate should be crossed off your list immediately. Get at least three estimates and then compare prices with what is included. 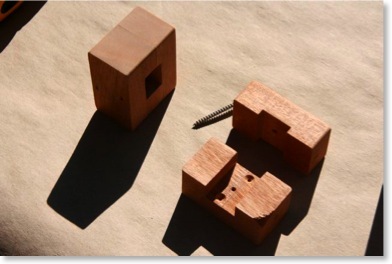 Remember the lowest bidder is not always the best. 7) Sign a written contract. The contract should clearly spell out all the steps the contractor will take from beginning to end of your job, what supplies are included, the payment schedule and the time line for the project. Put into the contract that you will get a discount of X number of dollars for each day the contractor is past his completion date. A few years ago, during the construction boom you would have not been able to get a contractor to sign up to late penalties. With the economy slowing down, now is a great to time to take control again. 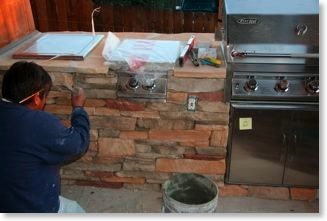 • Hire a contractor who shows up on time for the initial estimate and seems professional and knowledgeable. If a contractor doesn't show up on time to bid the job, why would he ever show up on time after gets it? 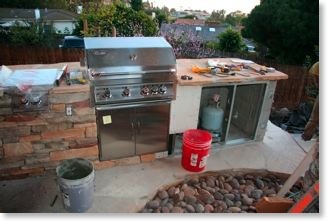 • Check with the building department about whether a permit is required for the work to be done. If a permit is required, the liability is on the owner of the property to procure the permit or authorize the contractor to pull the permit. 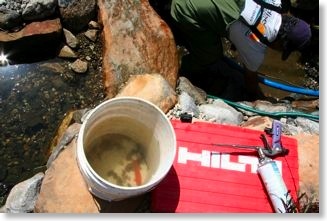 • Make sure you hire someone with a large crew if time frame is important. My house took 2 years to build instead of one year due to manpower issues. Just think, the Empire State building was built in 14 months. Manpower is extremely important. • You will need to provide a deposit to start the work but don't give too much up front. Enough money should be given to cover the contractor’s large expenses like construction materials, flooring, fixtures and crew to start your project. • Contact your County Licensing Board. They can educate you about licenses, permits and trades, as well as answer any questions you may have about your project or a contractor licensed in your county. 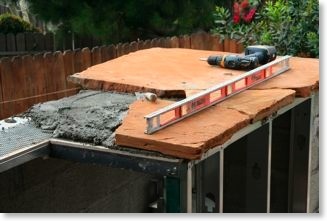 • Don’t hire an unlicensed contractor! If you do, you will have no recourse should you be unhappy with the job. You will also be responsible for any and all code or permit violations cited by your county. 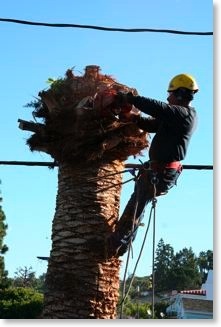 Southern California Edison has been trimming my palm tree every few months for the last 8 years. During that time, I have been trying to get them to underground the power lines before my tree reached them. 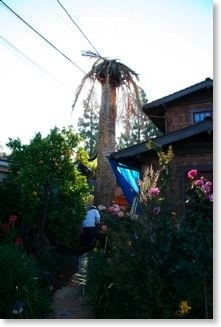 The last trimming was one too many as they topped off the palm tree resulting in its quick demise. Here are some photos I took of the removal. As many of you have noticed there has not been too much activity on the house lately. The reason is that it is mostly complete with minor projects and ongoing maintenance tasks in it's future.With that being said, my plan is to continue to document any upgrade and maintenance tasks as they occur, but my primary focus is to evolve this web site into something that everyone finds extremely useful with how-to tips, shopping for books, Arts & Crafts style items, products to finish your home, tools you might find useful on the job, and a Woodworkers' Corner for you do-it-yourselfers out there. Most importantly, a Home Remodeling Forum where everyone can exchange pictures and ideas, has just been created. Please drop by and show off your remodel, ask questions, and help others with your lessons learned. 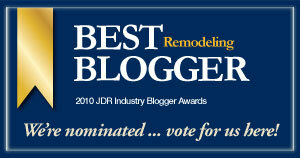 Be sure to add your remodeling horror stories. Just remember that this site is for you and together we can make this a great community for both the Arts & Crafts community and Home Remodeling in general. All I need is your help to tell me what you would like to see on the site or how I can make something better and easier for you to use. Thanks for all your kind words and questions so far. P.S. 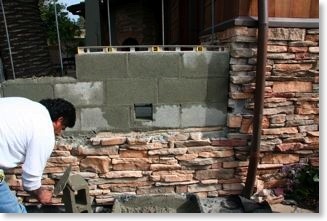 I am still uploading the construction pictures in the Photo Gallery. It is just taking a ton of time to keyword tag them all. Over the next couple of months this will hopefully be done. P.P.S. Please vote in our poll on the Home page. This will help steer me in the direction of which sections to update first.